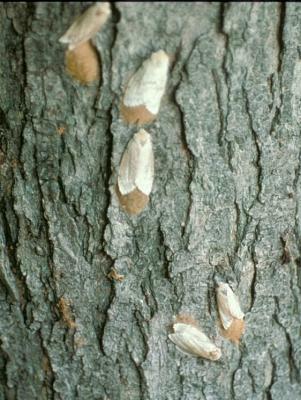 Over the past weekend, the Illinois Department of Agriculture (IDOA) posted a news release with changes for this summer on their tactics for managing Gypsy Moths in parts of Kane, Kendall, Will and LaSalle counties. In past years, the public's involvement has been passive in the sense that IDOA announced spray areas and, at the right time, treatments were made based on trap counts and movement of Gypsy Moths the previous year. This year, due to trapping numbers from 2016, increased efforts now include a Gypsy Moth quarantine. This is the next level of management needed to reduce the populations and slow the spread. The language may sound a bit menacing, but the quarantine is really asking the public to become more involved in the management of this destructive insect. The feeding activity can completely defoliate a tree and the droppings can cover the ground and everything within the tree canopy. 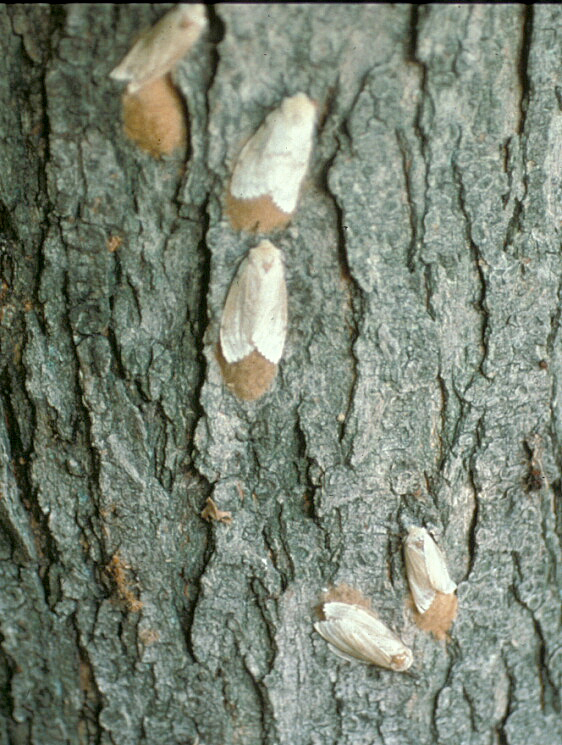 Since the female Gypsy Moth will deposit egg masses on anything in the yard that sits still for even brief periods during egg laying, IDOA is asking residents to inspect personal property before moving it outside the quarantined area. If the camper or canoe sits for most of the summer, homeowners must inspect them for egg masses before heading to a campground or lake outside the quarantine area. If you are not in the quarantine, it does not apply to you. The quarantine also places additional restrictions on nurseries and companies handling lumber. Their products are required to be inspected prior to any sales outside of the quarantined areas. Maps of the quarantined areas for Kane, Kendall, Will and LaSalle counties along with the other four Illinois counties already in quarantines can be found at https://www.agr.state.il.us/gypsymothtreatmentmaps. While on that website, you can read about the history of Gypsy Moth, its lifecycle and the products IDOA will be applying in 2017. We have certainly suffered from the recent loss of ash trees from the Emerald Ash Borer; we do not need to lose the trees we have left. If you are within the quarantine, those egg masses are there right now and quite visible, especially when on the trunks of trees. Finding them on lawn furniture, campers and other recreational equipment will take just a few minutes. Simply scrape them off and throw them away in the garbage. Every egg mass contains between 500 and 1,000 eggs. The hatching worms while very small in the beginning become a 2 ½ inch or larger eating machine before pupating at the end of summer. Those larvae feed on more than 400 different kinds of trees and shrubs. IDOA is asking us to do our part so that we still have shade trees and ornamental plants in our home landscape.